A proposed merger between the Scarlets and the Ospreys collapsed. Gareth Anscombe: target for English clubs. WALES’ GRAND SLAM winner Gareth Anscombe has urged officials to end the uncertainty surrounding the regional game or risk a player exodus. But their campaign was somewhat overshadowed by a fierce debate over the future of the Welsh club game, with a planned merger between the Scarlets and the Ospreys — two of Wales’ four professional regional clubs — collapsing. Cardiff No 10 Anscombe has an existing dual-national contract which expires at the end of the season. There have been reports the 27-year-old could be a target for English Premiership side Harlequins. 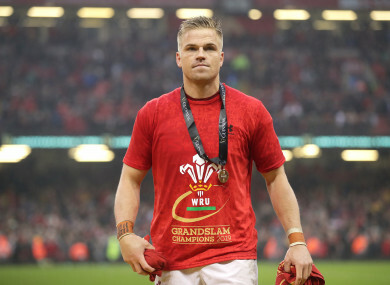 But ahead of this year’s World Cup in Japan, Anscombe insisted: “We all want to play for Wales — there is no doubt about that — but players need to be treated well, and we deserve to be. Email “Anscombe calls for end to Welsh club uncertainty”. Feedback on “Anscombe calls for end to Welsh club uncertainty”.